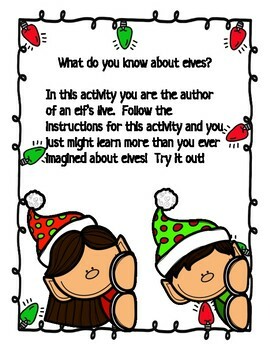 How well do you know elves? After this activity, you may know than you ever thought. Using imagination and writing skills, the students will create an elf and provide information about him. It's Christmas time, how many elves have already seen? Please use this as your personal resource. Any feedback (good or bad) is greatly appreciated! Enjoy!